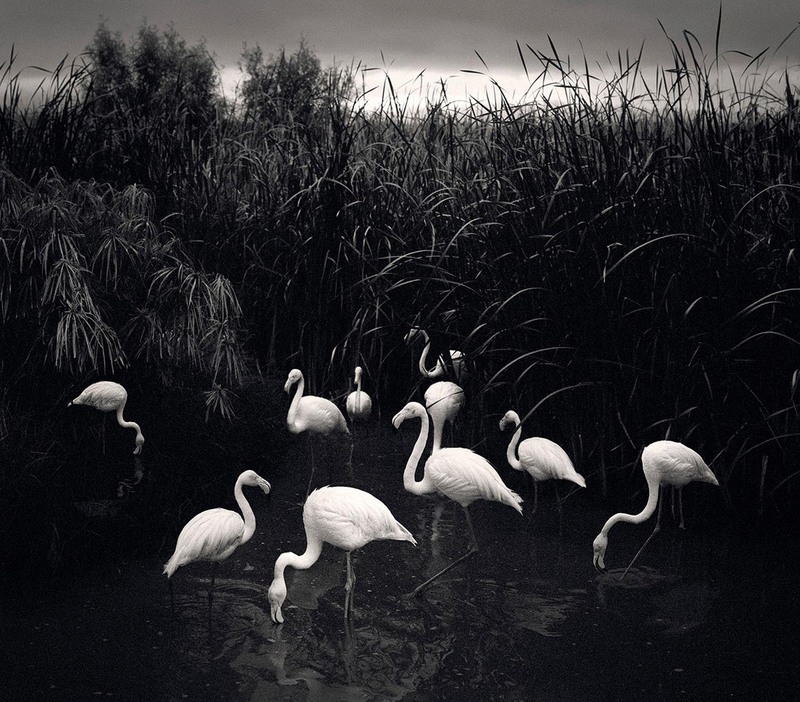 “Pentti Sammallahti’s Birds”, a solo exhibition on view at Nailya Alexander Gallery, is the first to focus exclusively on one of the Finnish photographer’s most consistent and compelling subjects: birds. Despite his frequent attention to dogs, cats, and other animals during his many travels, Sammallahti’s work finds its true apotheosis in birds. Residents of the land, sea, and sky, birds find their way into the artist’s field of vision no matter what continent or country he explores. In some photographs, they fill the frame as a flock, alighting from a tree or field, their speed and restlessness mirroring the artist’s own itinerant spirit; in others, one or two stands alone, sanctifying the spot with its quiet presence and its choice to break flight. In many photographs, the small shape of a bird is the anchor that unifies the entire composition, holding its own beneath a staggering sky, or bringing delicate balance to a jumble of branches or power lines. Pentti Sammallahti’s Birds is on view from January 10th through 31st and coincides with the release of Sammallahti’s most recent monograph Des Oiseaux (About Birds), released in November 2018 by French publishing house Xavier Barral.